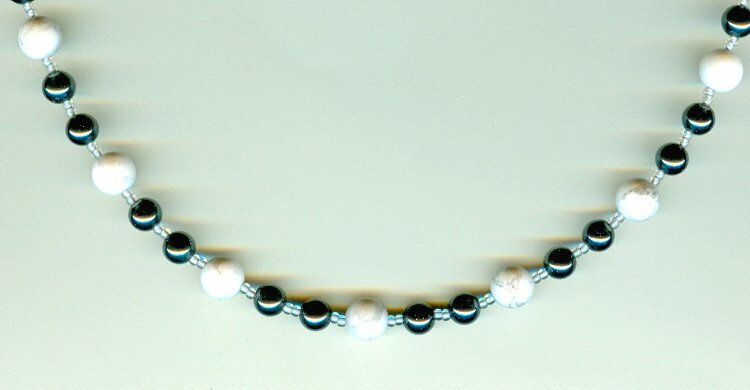 In this necklace, 8mm howlite beads alternate with pairs of 6mm hematite beads. 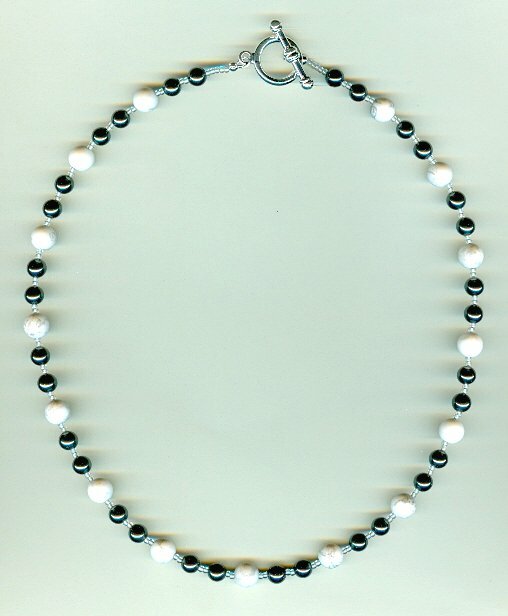 The 20 inch strand closes with a man-sized silver plate over pewter toggle clasp. We've priced it perfectly for gift-giving (even if it's a gift to yourself). 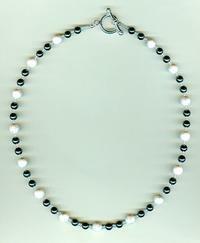 And naturally, it's from SPARKLE PLENTY.